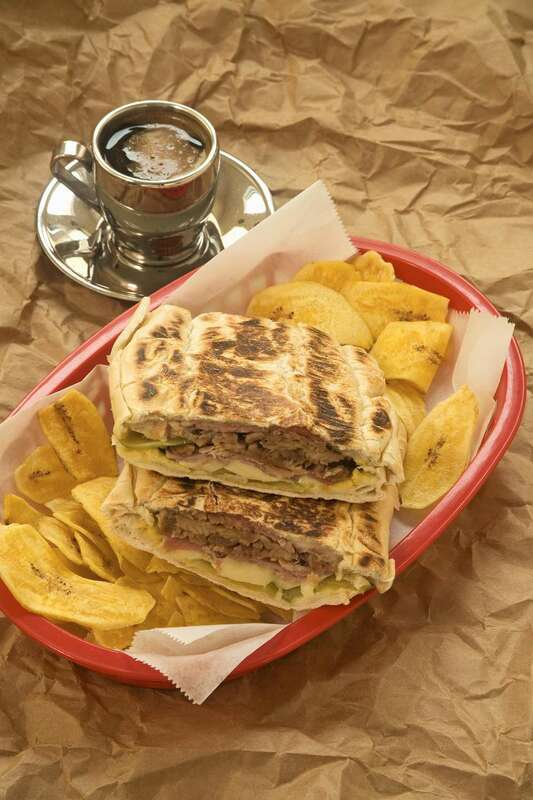 These sandwiches are a Cuban tradition. One taste and you'll know why. Consider it akin to a pork barbecue sandwich without the smoker. This recipe is a must try! 1. Combine orange juice, lemonade, onion, olive oil, garlic, oregano and lime juice. Mix well and pour over pork loin roast. Turn to coat, cover with plastic wrap and refrigerate meat for about 6 hours. 2. Remove roast from the refrigerator and preheat grill. Season well with salt and pepper and place roast on hot grill over direct medium heat. Grill for about 10 minutes turning until the whole surface has browned. Move to indirect grilling and cook for an additional 30 to 45 minutes or until the internal temperature reaches between 150-155 degrees F.
3. Remove from grill and allow the meat to rest for 10 minutes. Cut open rolls, butter and toast on the grill for about 1 minute. Carve pork against the grain as thinly as possible. Assemble with other sandwich ingredients. Serve while the pork is still warm.